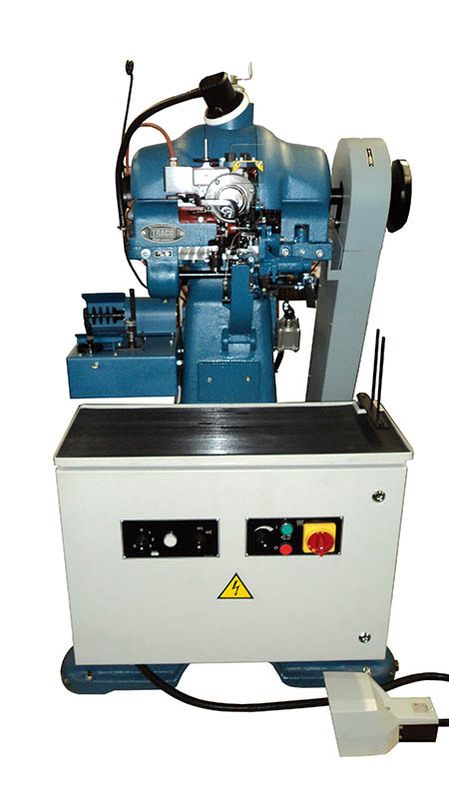 This machine is designed for stitching soles to the wetts, to the midsole and to the uppers, using a two thread lockstitch. 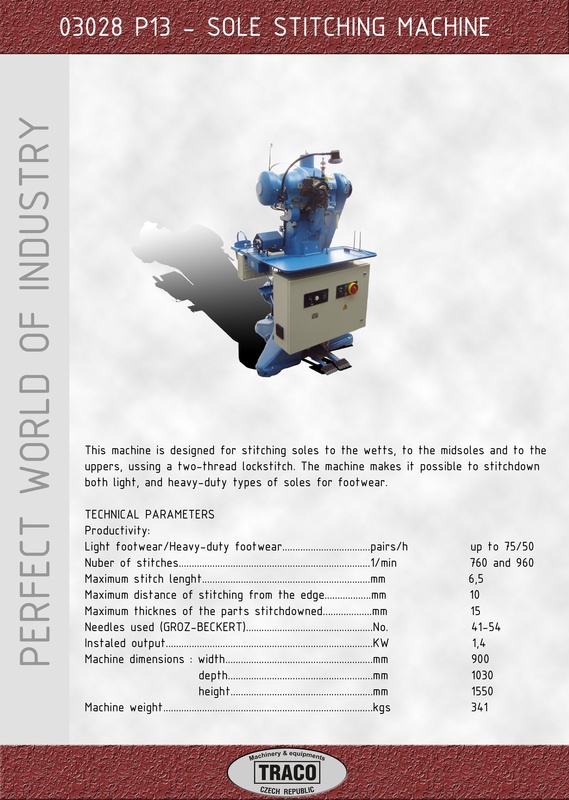 The machine makes it possible to stitchdown both light, and heavy-duty types of soles for footwear. The machine is equipped with an electronic controller for stepless speed variation in three stages of regulation.